His Highness Sheikh Mohammed bin Rashid Al Maktoum, Vice President, Prime Minister of UAE and Ruler of Dubai, has issued Law No. 9 of 2017 on the establishment of the International Institute for Tolerance. His Highness also issued Decree No. 23 of 2017, establishing a Board of Trustees for the International Institute for Tolerance and Decree No. 28 of 2017, appointing a Managing Director for the International Institute for Tolerance. The International Institute for Tolerance aims to instill a spirit of tolerance in society, building a cohesive society and promoting the UAE as a role model for tolerance, anti-extremism, and anti all forms of discrimination among people, including but not limited to, discrimination based on religion, gender, race, colour or language. The law will promote tolerance, encourage open dialogue and highlight the honest and peaceful essence of Islam. Sheikh Mohammed, "The establishment of the International Institute for Tolerance comes at a time when we are in dire need to build bridges of tolerance and solidarity between people. The institute's doors are open to scholars and tolerance advocates, who wish to work toward establishing a culture of tolerance and openness in our societies, and against extremism, fanaticism and intellectual repression. "Since its establishment, the UAE has promoted the values of tolerance, coexistence, acceptance and openness, and has become a safe haven for people from all over the world who can find it a place without discrimination based on religion, race, gender or colour. The law, issued by the International Institute for Tolerance, aims to promote the spirit of tolerance among people in society, and to consolidate the UAE's role as a model for tolerance and cultural and religious pluralism. The law also seeks to build a harmonious society based on tolerance, peace, coexistence and acceptance of others, and to combat violence or hate speech based on religious, gender, race or linguistic differences, contributing to the objectives of the National Programme for Tolerance. The law also aims to honour groups and entities that contribute to entrenching the value of tolerance among people, encouraging entrepreneurship and excellence in establishing the rules of tolerance at the national and international levels, promoting interfaith dialogue and highlighting the peaceful and honest nature of Islam. to propose policies and legislation aimed at entrenching the values of tolerance and moderation in the society, and to submit them to the relevant authorities for implementation; periodically organising international conferences related to tolerance in the State; preparing and disseminating research on how to engage in partnerships with relevant cultural institutions around the world to spread the principles of harmony and the values of intergenerational tolerance; organising seminars, workshops, forums and specialised training programmes aimed at promoting the spirit of tolerance and peace in the world; launching and encouraging initiatives aimed at promoting tolerance and coexistence among all members of society; supporting intellectual and cultural output that promotes tolerance in society; creating an environment that is conducive to social and cultural harmony and eliminating exclusionary behaviour; and any other function or power required to achieve the objectives of the Institute. The Mohammed bin Rashid Al Maktoum Tolerance Award will be awarded across five sectors - three honouring the efforts to spread the value of tolerance in philosophy, literary creativity and visual arts, and two competitions organised by the awards committee, focusing on youth projects and new media initiatives. The organisational structure of the International Institute for Tolerance will consist of the Board of Trustees and the Executive Branch. 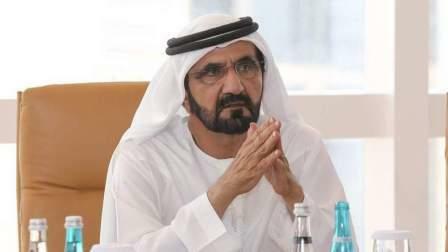 Sheikh Mohammed issued a decree establishing the Board of Trustees of the International Institute for Tolerance under the leadership of the Sheikha Lubna bint Khalid Al Qasimi, Minister of State for Tolerance, and with the membership of Ohood bint Khalfan Al Roumi, Noura bint Mohammed Al Kaabi, Shamma bint Suhail Al Mazrui, Dr. Hanif Hassan Ali Al Qassim, Dr. Hamad Al Sheikh Ahmed Al Shaibani, Mr. Sultan Butti Bin Mejren, Mr. Turki bin Abdullah Aldakhil, Mr. Mazen Jubran Hayek, Mr. Gerald Francis Lawless, Mr. Ahmed Ismail Al Abbas, Mr. Sunny Varkey, and Mr. Avishesha Bhojani. The Board of Trustees will oversee the work of the Institute and Award. It will have the authority to adopt the Institute's general policy and strategic and development plans, to approve the Institute's programmes and initiatives, to supervise international conferences held in the country, and to adopt the statutes of the Mohammed bin Rashid Al Maktoum Award for Tolerance. As for the Executive Body of the International Institute for Tolerance, Dr. Hamad Al Sheikh Ahmed Al Shaibani was appointed the Managing Director of the Institute, pursuant to a decree issued by Sheikh Mohammed in this regard. Sheikh Mohammed announced the establishment of the International Institute for Tolerance and the Mohammed bin Rashid Al Maktoum Tolerance Award in October 2016 in order to collate Mohammed bin Rashid Al Maktoum Global Initiatives (MBRGI) initiatives. MBRGI is the largest humanitarian and development institution, embodying 33 institutions implementing over 1,400 development programmes and initiatives that support over 130 million people in 116 countries around the world, and working in cooperation with 280 partnerships with international and regional organisations, governmental institutions and private-sector entities.